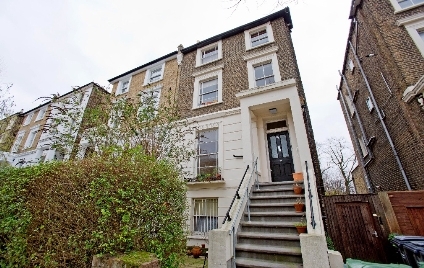 A bright, spacious one double bedroom flat located on the top floor of a converted period building in quiet leafy street off Camden Square. The property benefits from a large reception, fully- fitted kitchen, double bedroom, bathroom and WC, gas central heating, laminate flooring throughout. Property offered unfurnished. Location St Augustines Road is a pleasant tree lined street found off the residential Camden Square area north of Camden Town itself. The High Street along with Camden Town Underground Station (Northern Line Zone 2) is a few minutes walk. 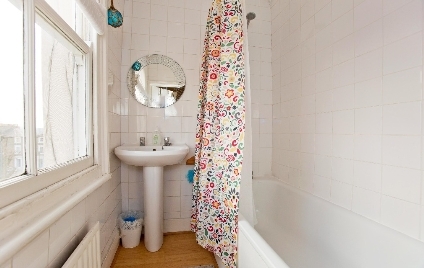 A large, bright one bedroom top floor flat in semi-detached, converted period property. The flat boasts good size reception, modern fully fitted kitchen with washer-dryer, electric oven and gas hob, fridge-freezer. 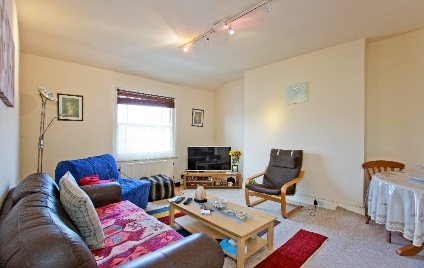 Double bedroom bathroom and WC with laminate flooring throughout, gas central heating and is offered unfurnished. Reception 12' 0" x 14' 7" approx. Bedroom 1 12' 8" x 13' 9" approx Bathroom with washbasin, bath with shower. Kitchen 6' 11" x 12' 11" approx. 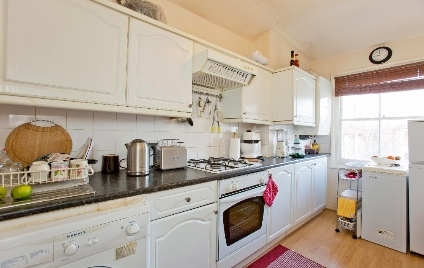 Fully fitted with electric oven and gas hob, stainless steel sink and drainer, washing machine. Free standing fridge freezer.